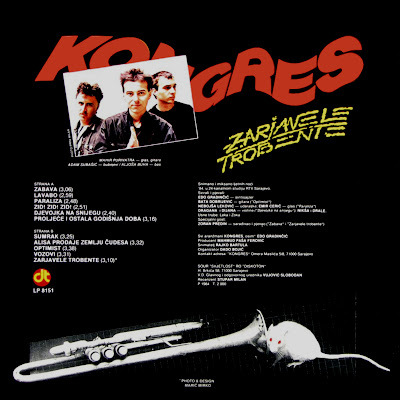 KONGRES formed in 1982, in Sarajevo, Bosnia And Herzegovina (ex-Yugoslavia) by singer and guitarist Mahir Purivatra, bassist Aljoša Buha , singer Emir Cerić, keyboardist Jadranko Džihan and drummer Adan Subašić. The first concert held in Sarajevo at the "Sloga" with Zabranjeno pušenje and Elvis J. Kurtovich in the fall 1982. 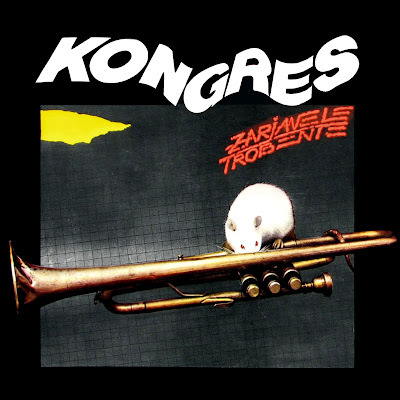 In 1984. announced the debut LP "Zarjavele trobente", which they recorded as a trio since the Emir Cerić, in the meantime left the group, and Džihan moved to Zabranjeno pušenje. 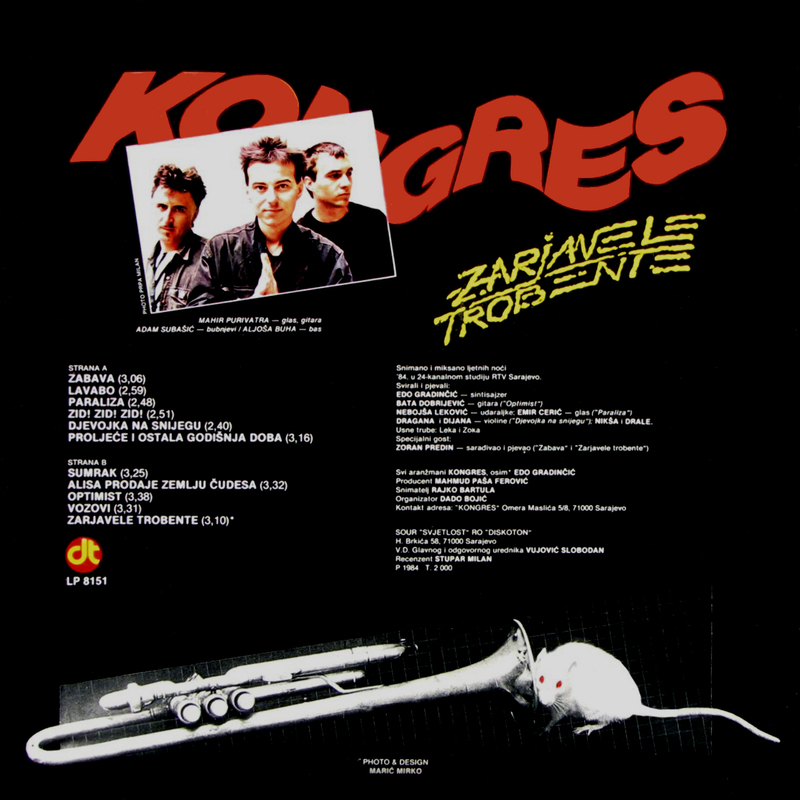 On album as guests participated Dražen Janković, keyboardist of Zabranjeno pušenje and Zoran Predin from Lačni Franz.